How much money do you need to live the life you want? We will help you to understand what’s important to you in life and why. We’ll spend time establishing where you are today and where you want to be in the future. Providing you with the tools to achieve your desired lifestyle, without the fear of ever running out of money. Cashflow modelling techniques to illustrate what might happen to your finances in the future, and thereby encourage the dreaming. Tax planning to make sure you are using all the allowances the Government provides. Pension planning to make the most of an asset which for many people will be their second largest after their home. Coaching to help you answer questions such as how much is enough? A short video demonstrating the process for lifetime financial planning. 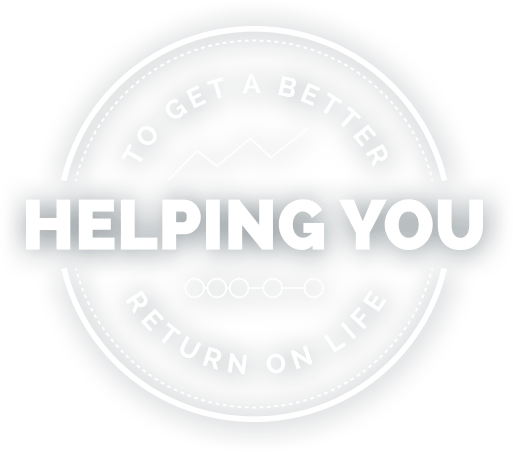 We provide Organisation, Accountability, Objectivity, Proactivity, Education and Partnership in order to help you get a better return on life. by assisting you in getting your financial house in order (at both the "macro" level of investments, insurance, estate, taxes, etc., and also the "micro" level of household cash flow). by working with you to prioritize your goals, show you the steps you need to take, and regularly review your progress towards achieving them. by being available to consult with you at key moments of decision-making, doing the research necessary to ensure you have all the information, and managing and disclosing any of our own potential conflicts of interest. by regularly assessing any potential life transitions that might be coming, and creating the action plan necessary to address and manage them ahead of time. by first thoroughly understanding your situation, then providing the necessary resources to facilitate your decisions, and explaining the options and risks associated with each choice. by taking the time to clearly understand your background, philosophy, needs and objectives, work collaboratively with you and on your behalf (with your permission), and offer transparency around our own costs and compensation. I have been a client of the Financial Advice Company for over 5 years and in all of that time I have found the advisors and their administrative staff both courteous and helpful. I have no hesitation in recommending them for first rate independent financial advice and management.